An aimless twenty-something struggles to make sense of reality after he moves to Los Angeles to live with his older sister. His legs are rotting, his apartment is haunted, and he’s in charge of taking care of a human baby that might actually be a dog. On top of it all, he has trouble making friends. Tacky Goblin blunders through particularly strange but familiar misadventures to remind us that, ultimately, learning to take care of yourself is hard. This is a quick Giveaway!! Just comment on this post! Share, Follow, Like if you wish! Understood nothing about that blurb, but I'm intrigued! This book sounds super-weird, but good. 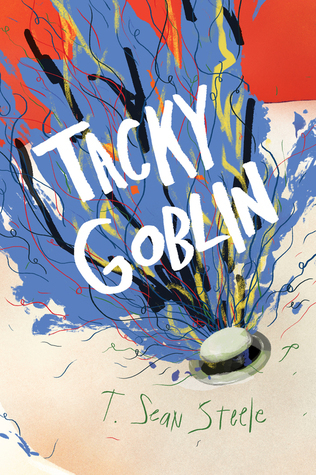 And the name "Tacky Goblin" is amazing. That blurb is not weird. AT ALL. Haha.